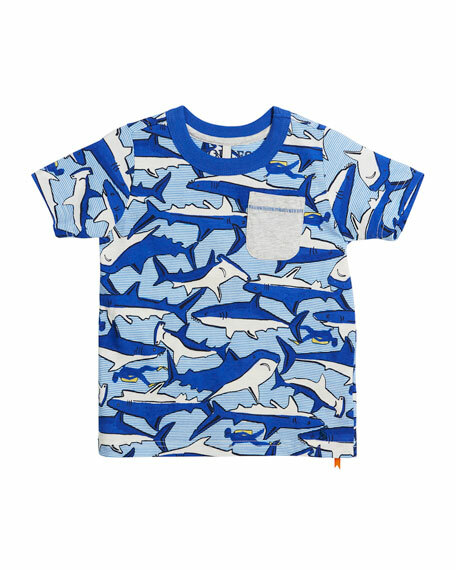 Joules "Olly" T-shirt in shark pattern. 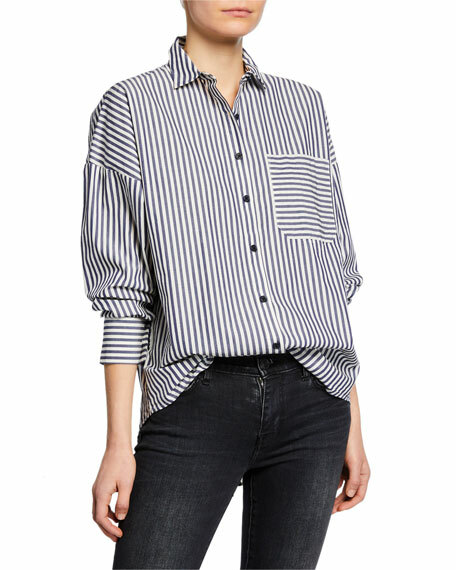 For in-store inquiries, use sku #2577369. 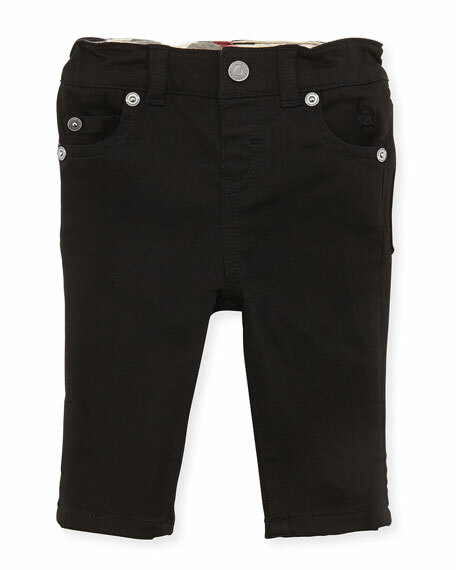 Burberry infant girls' twill denim jeans. Five-pocket style. Tonal equestrian knight embroidery Skinny legs. Elasticized waist. Snap closure/belt loops. Cotton/polyester/spandex. Imported.